In addition to scheduled professional maintenance, conducting your own HVAC inspection helps ensure that any small problem is addressed in a timely manner. 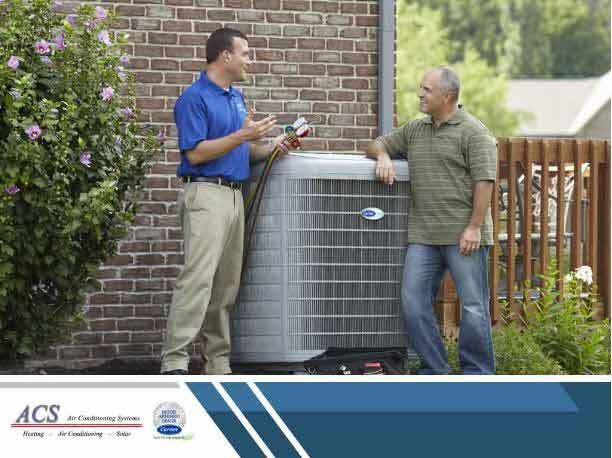 ACS Air Conditioning Systems shares a maintenance checklist you can use when inspecting your heating and AC systems. Thermostat – Start with the smallest yet essential part of your HVAC system: the thermostat. Turn it up a few degrees, after which you should hear your furnace turn on. If the furnace shuts off after less than five minutes, it may be short cycling. If this is the case, try resetting your thermostat, or recalibrating it as prescribed in your maintenance manual. Filters – There are many benefits to having a clean air filter, which is why this is an important step in AC systems maintenance. It helps ensure efficient airflow, which minimizes the workload on your HVAC system. While filters are generally cleaned or replaced every year, it can fill up sooner, especially during the summer season. In this case, don’t wait a full year before you clean or replace it. Registers – Like the filters, the intake and output registers should be cleared of any obstructions. Most kinds of registers can be easily removed and washed. If possible, take a brush and vacuum cleaner and try to clean as far into the ductwork as you can. Better yet, arrange for a professional duct cleaning if you haven’t done so in years. Air Leaks – Inspect the areas around the registers as well as the joints and seams in the ductwork for leaks. Since these are pumping forced air, a small gap can waste hot or cold air, which would affect your AC system efficiency. Duct tape can be a temporary measure, but make sure it is addressed by a professional shortly after. Standing Water – Water usually comes from the pipes, which should be collected from the pan and emptied from time to time. If you find standing water outside of the pan, there could be leaks in these pipes, in which case you should inspect the piping first. You may need to clean it using a cleaning tool similar to a drain snake. If that fails, the piping may need to be replaced, in which case you should get in touch with an HVAC professional. To learn more about inspecting and maintaining your AC systems, call ACS Air Conditioning Systems today at (925) 676-2103. You can also fill out our contact form to schedule an appointment. We offer free estimates on new installations.